Do you like the idea of being able to help people? Do you want a career that allows you to care for people from all cultures and traditions different than your own? If this sounds like you, then you may want to consider becoming a nurse! A common misconception is that there is only one type of nurse. In fact, there are several designations that nurses can hold. There are licensed practical nurses (LPNs), registered nurses (RNs), and nurse practitioners (NPs). Below are the different educational routes one can take to obtain each title. 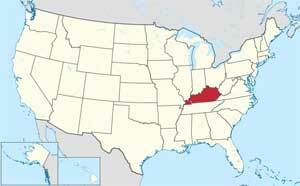 To become a LPN in Kentucky you need to complete a Practical Nurse (PN) program. These are offered at community colleges and technical schools. According to the Kentucky Board of Nursing, there are 25 approved PN programs in the state. LPNs primary job is that of a direct caregiver under the supervision of a health professional already holding a license, primarily in hospitals, nursing homes and chronic care facilities. PN programs include foundational science content and nursing courses with clinical practice of skills being the cornerstone of their education as learned in the classroom setting. In Kentucky, these programs require approximately 40-46 credits. There are a couple ways to become an RN in Kentucky: obtain an Associate’s degree or a baccalaureate degree. An Associate’s degree will prepare individuals to function as a caregiver in various settings and work with other professional nurses to plan and implement comprehensive health care. This degree can usually be finished at a community college and includes around 65-70 credits. In comparison to Associate’s degrees, a Bachelor of Science in Nursing (BSN) prepares students to work in positions of leadership and power in a variety of practice settings. Students who obtain an undergraduate degree in nursing usually plan to continue on to graduate school for specialized study. In Kentucky, BSN programs take a total of 3-4 years, with the first two years focused on general education courses and the last two years concentrated on nursing theory and clinical practice. To become a Nurse Practitioner (NP), one must complete a graduate degree with a major in Nursing. The Master’s degree builds on the knowledge, skill and expertise of baccalaureate nursing education and provides for the attainment of advanced and specialized knowledge. Nurse Practitioners have more employment opportunities and more autonomy in the workplace than RNs.